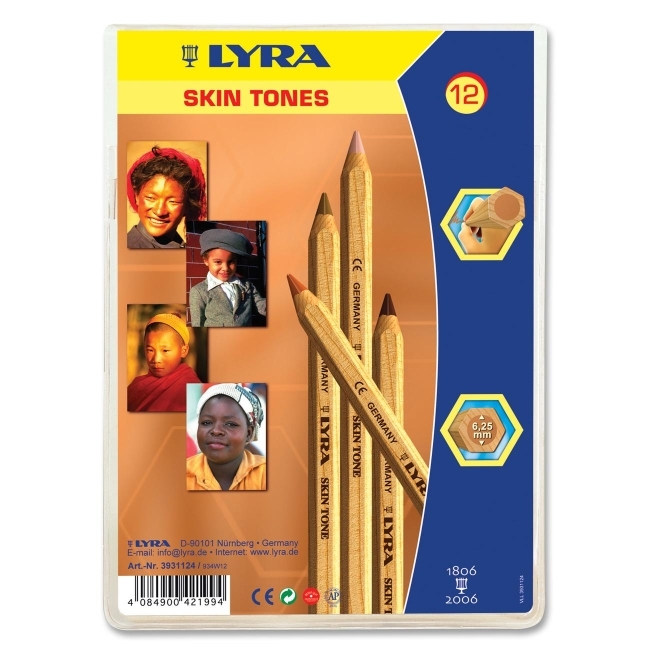 Pencils offer a large hexagon shape and highly pigmented 6.25mm colored cores. 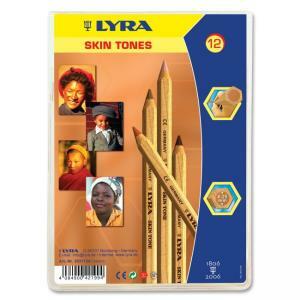 Assortment includes the 12 most prominent skin tones of the people of the world. Extra large break-resistant core is designed for shading large areas. Core lasts three times longer than standard-size pencils and requires less frequent sharpening. Pencils are certified AP nontoxic.